Please select options for MPT Livewire TS+ w/ 3 Custom Tunes (11-14 5.0L F-150) at the top of this page. Power and Performance. When your F-150 roll off the assembly line, your 5.0L V8 engine was programmed to the needs of a daily driver and not a performance enthusiast. This resulted in horsepower and torque being left on the table. By optimizing the air/fuel ratio, adjusting ignition timing and tweaking variable cam timing, a custom tune from MPT Performance will unlock that hidden power to increase your truck's overall performance. MPT Performance Custom Tunes. When you order a SCT Livewire TS+ Tuner, you aren't getting just a tuner. 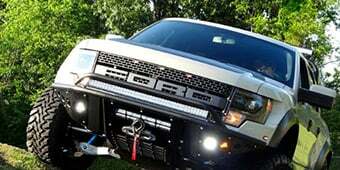 You'll be getting the tuner and a set of three custom tunes from MPT Performance that are written specifically for your personal F-150 and your particular modifications with your choice of octane level. MPT Performance even provides one post sale datalog review (if necessary) to assure your truck is running healthy and strong. MPT offers seven different tunes that you can choose from which includes the Performance Race Tune, Performance Street Tune, Performance Tune - Stock Trans, Performance Tow Tune, Performance Tow Tune - Stock Trans, Perf-Econ Tune, and Performance Trans Only Tune. Performance Race Tune. 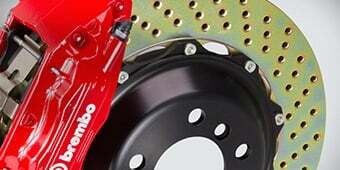 This Performance Race Tune is MPT's top performance tune that provides the most gains in power and performance. Available for 87-89, 91 or 93 Octane Gas, this tune will make your F-150 feel lighter due to the increase in throttle response when you have the throttle partly open or wide open. Not only will this tune increase your throttle response, but it provides an increase in low-end torque, which translates to quicker 0-60 and 1/4 mile times. When compared to the factory tune, the Performance Race Tune makes your shift points much firmer and crisper at higher rpms. Performance Street Tune. While you can still use the Performance Race Tune for daily driving, you may prefer this Performance Street Tune for everyday use. MPT created this Street Tune to provide the same power increases and benefits as the Race Tune, but it is tweaked to be a little bit more street mannered. The throttle response and shifts are not as aggressive and firm when compared to the Race Tune, since your shifts will happen slightly sooner at a lower throttle position. Performance Tune - Stock Trans. If you prefer the factory shift points of your F-150, then this tune may be for you. 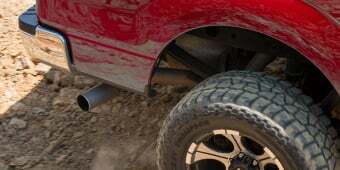 This tune features the same benefits as the Performance Street Tune, but MPT makes sure the transmission setup is very mild for the F-150 owners that like the feeling of the stock shifts. Both normal and tow-haul mode will retain their stock like shift points. Performance Tow Tune. Created to be a step under the Performance Street Tune, this tune is designed to be a performance tune and towing tune hybrid. It features a normal shift schedule that is a blend of the factory shifts at a lower throttle position, but it allows the gear to hold longer when you increase the throttle. The downshifts and firmness of shifts are also improved, when compared to the stock tune, but it won't be as aggressive as the Performance Race and Street Tunes. If you're planning on towing and hauling a lot of weight, it would be best to use this Performance Tow Tune since it will retain the factory rated towing capacity. Performance Tow Tune - Stock Trans. If you prefer the factory shift points of your F-150, then this tune may be for you. This tune features the same benefits as Performance Tow Tune, but MPT makes sure the transmission setup is very mild for the F-150 owners that like the feeling of the stock shifts. Perf-Econ Tune. Also known as the Performance Economy Hybrid Tune, MPT created this tune to provide a perfect blend between great fuel economy and top-end power. 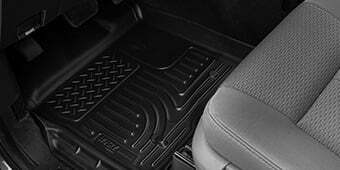 Designed for the F-150 owner that want power but don't want it constantly, this tune controls the closed pedal and very low throttle positions to ensure your fuel economy is enhanced. At a lower throttle position, the shift points will happen early so you can get into the higher gears much faster. Performance Trans Only Tune. Designed to be used with any octane fuel, this tune gives you an improvement in shifting and performance but leaves the fuel, spark and other features at the stock settings. MPT made sure you would have a noticeable increase in throttle response and acceleration with the tune, when compared to the stock tune. Color Touch Screen Display. The SCT Livewire TS+ Performance Tuner is not just another flash programmer, it's one of the most advanced tuners on the market. 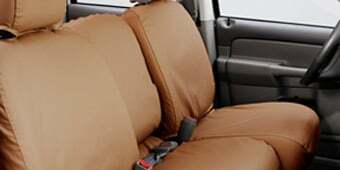 It features a 4 inch color touch screen display with ambient light sensor for automatic day/night brightness adjustment. Performance Calculator & Data Logging. 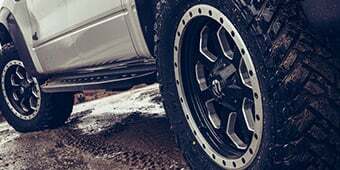 Measuring your coyote F-150's horsepower & torque, 0-60 ET, 1/4 and 1/8 Mile ET and braking performance has never been easier. The Livewire TS+ features a built-in performance calculator, to accurately estimate your Truck's performance based on data monitored from your ECU. 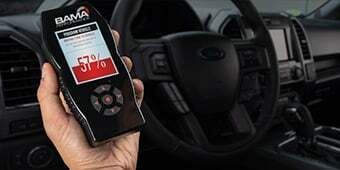 Measure gains before and after making new modifications to see how your 5.0L F-150 is improving. You can also use your TS+ to data log and record data directly from your PCM. Automatic On / Off / Sleep Mode. 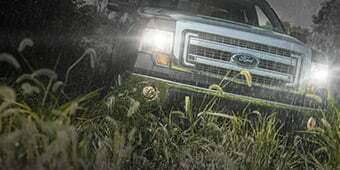 Stop worrying about your device staying on after you turn off your coyote powered F-150. The Livewire TS+ features both a Sleep and Auto Off mode for your convenience. If you turn off the ignition, the TS+ will go into sleep mode after 2 minutes, drawing very little power from your battery. To further your protect your F-150's battery, the TS+ will turn itself off completely if there has been 2 days of inactivity. Easy to Load; Easy to Restore. When you load a MPT Performance Custom Tune on your 5.0L F-150, the tuner automatically stores your vehicle's factory settings. To return the vehicle to its factory settings, just plug the tuner back in, select the option to restore the factory settings, and you're done. Wi-Fi and PC Compatibility. With the ability to hold up to 10 custom tune files at once, this TS+ allows you to connect wirelessly to your home network via its built-in Wi-Fi. When using the provided USB cord, this Livewire TS+ Tuner is also compatible with PC/Windows to drag and drop file transfers and software updates. It is not compatible with Mac software. Application. This SCT Livewire TS+ Tuner with a set of three MPT Performance Custom Tune Files is designed specifically for the 2011 to 2014 F-150s equipped with the coyote 5.0L 4-Valve Engine. Two Options Available. 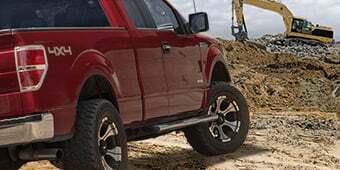 Option one is for stock F-150s with or without basic bolt-on upgrade modifications such as a Cold Air Intake, Throttle Body and/or Full Exhaust System. 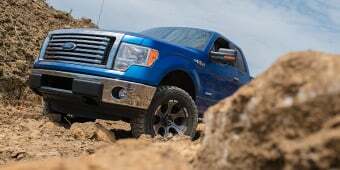 Option two is for F-150s that are running upgraded modifications such as aftermarket Camshafts, Injectors, MAF, an aftermarket forced induction setup or an Engine Swap. Please select your application from the options listed above. **Please Note. The SCT Tuner ships blank from AmericanMuscle, the custom tune files will be emailed directly to the end user within 3-4 business days from MPT Performance. MPT Custom Tunes are not legal for use in California or pollution controlled vehicles, this product will not ship to addresses in California due to state regulations. Additionally, support will not be provided for tuning for California residents.